Designed for the snorkel lover, this trip will make 4 snorkel stops as we circle the island of St. John. 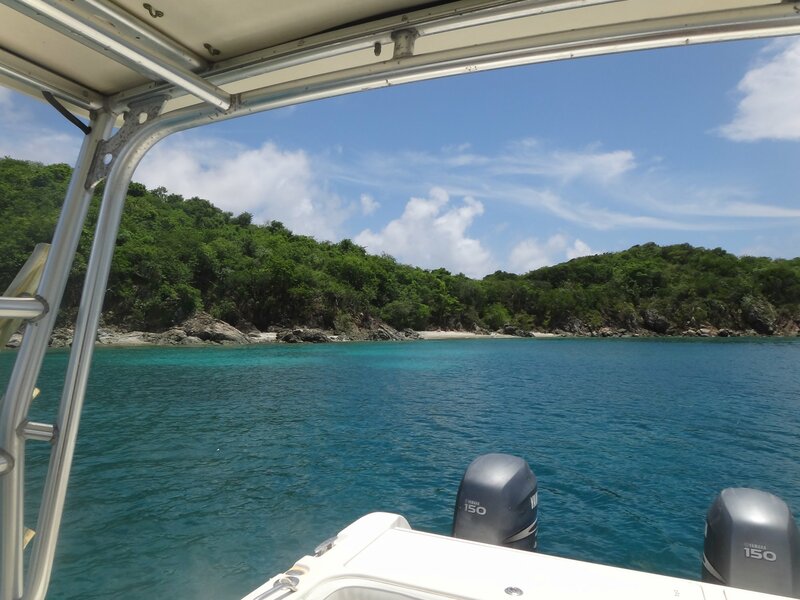 Snorkel sites are hard to reach places, most of which are only accessible by boat. We will stop at Pizza Pi for lunch (cost of not included in the price of the trip). Their menu changes every 3 months, but a current menu can be found on their website. Soda, water and ice are included. You're welcome to bring any other food or drink you may want, but please no glass bottles. Meet at the shop across from Skinny Legs at 8:30. If you will need to borrow snorkel gear please come a little earlier so we can properly fit you. It will leave from the Coral Bay dinghy dock and return when we're done. Everyone is allowed to snorkel at their own pace so return time will vary, but it is usually between 3 and 4 pm. Minimum of four must sign up for the trip to go. Maximum of six. If you book through the website, you will be charged in full for the trip. The other option is to call with credit card information to hold the spots. You are eligible for a full refund if you need to cancel at least 48 hours before the trip. You are eligible for a 50% refund if you cancel within 48 hours of the trip. No shows on the morning of the trip will be charged full price. We rarely cancel, but if we need to for weather or maintenance issues, nothing will be charged and we will try to accommodate a rescheduled trip.